Hair oils are all over the blogosphere at the moment, and with the impending cold weather looming, it's more important than ever to keep your hair in tip-top condition. I've never tried any hair oils before, so I jumped at the chance to try one extensively raved about by many bloggers. Hairtrade.com is one of the UK's leading online retailers of hair extensions, and also stock a plethora of hair and beauty products. 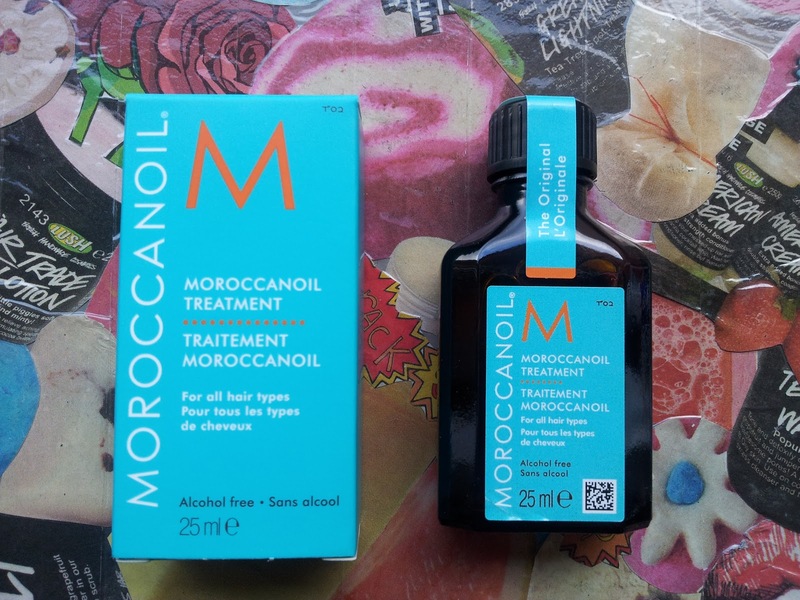 I received Moroccanoil to review, and here are my thoughts on it! I like to use Moroccanoil in two ways. Normally, I apply it to the ends of my hair before drying it, however when my hair is in need of a little more TLC, I'll mix a few drops with a hair mask and apply it to the whole of my hair. The latter leaves my hair extremely soft and shiny, I just make sure that I wash it off really well so it doesn't make my hair greasy. Originally, I was worried about this oil weighing my hair down as it is quite thin, but I can report nothing of the sort. In fact, it leaves my hair poker-straight and silky smooth. Moroccanoil also comes in a light version for Blonde hair, but I found that the original was fine for my hair so I don't think it makes much difference. One thing I really worry about in the winter is my hair going frizzy. The combination of rain and strong winds play havoc with my hair, and leave it curly and frizzy by the end of the day. 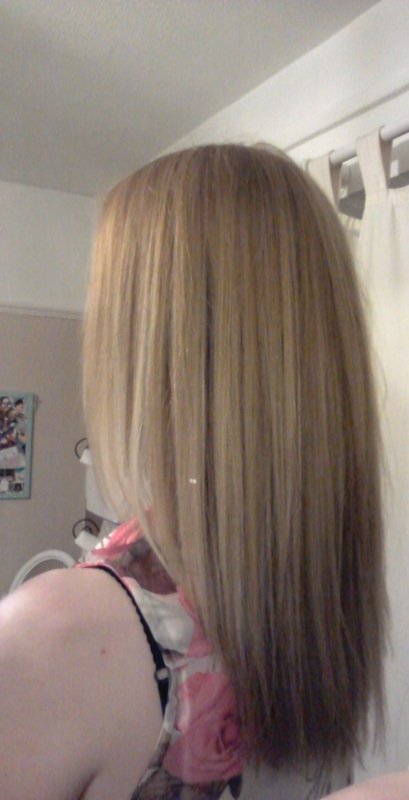 However, when I applied Moroccanoil during my lunch break, my hair stayed silky smooth all day - yes all day! I can see why there's so much hype around Moroccanoil, and if you're not yet 100% convinced, here are some photos. The top photo shows my hair when I left in the morning on a day where the weather was particularly bad, and the bottom shows when I got home in the evening. As you can see, there is literally no difference, which is amazing! 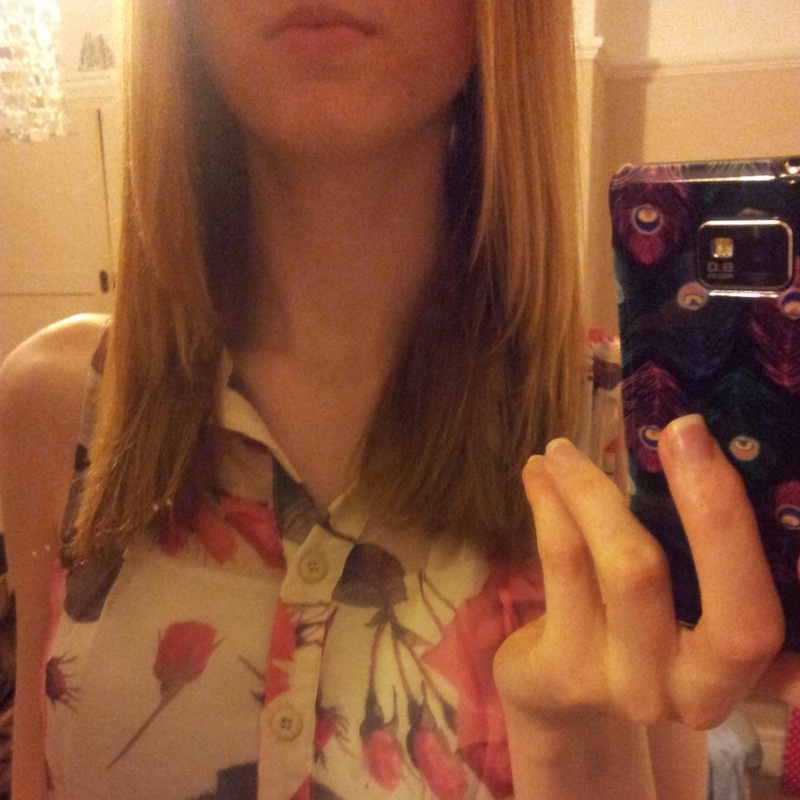 Between the two photos, I applied Moroccanoil and brushed my hair once. I am thrilled with the results and can safely say I will repurchase Moroccanoil when it runs out, which won't be for a while as you literally need the tiniest amount! Have you ever tried any hair oils? I've been dying to try this stuff! but the price tag really puts me off! Ive heard fantastic things about that. Your blog is so cute! I love the post. I will definitely be back for more! I hope you'll check out my blog. My iPad is being irritable so I can't follow you but m bookmaking you for later! I love this product...it smells really good and helps my hair shine. I continue to use this product everyday. Get this product if you would like shine in your hair.